The latest high-tech tool for the world’s largest renewable energy company is not a wind turbine, it’s the new Intel technology-based mobile tablets. Hundreds of wind technicians throughout the company’s U.S. fleet are taking their workflows from paper to the security of mobile devices and reaping the benefits. The Iberdrola Renewables mobility program first started at the company’s headquarters in Spain back in 2012. The intent of the program is to digitize the work order system, and improve inventory management and parts consumption tracking, all securely and in real-time. The rapid success of the program expanding across the nearly 60 wind and solar farms nationwide is a testament to those who were ultimately responsible for testing and selecting the winning tablet: Iberdrola Renewables’ wind technicians out in the field, who teamed up with the company’s security-minded IT professionals. As one of the top 10 utilities in the world, securing their contribution to nations’ energy infrastructure is top priority for Iberdrola Renewables. Ultimately, De Frutos said, it all comes down to secure technology and making sure that any new Intel-powered tablet seamlessly integrated into stringent security policies and regulations was the key component of that process. 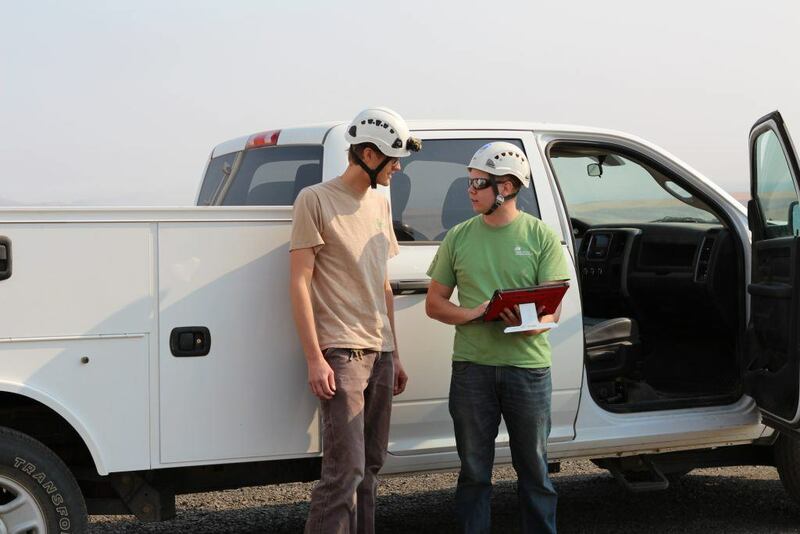 Prior to the launch of the mobile tablet program, technicians would handwrite reports and then hand-deliver them to a wind plant administrator who would reenter the information into a database. The switch from pen and paper to mobile tablets is already saving hours in data entry time per day. To see how Iberdrola’s tablets are transforming workflows through their mobility program, check out the video above and download a more detailed case study on this mobile initiative.